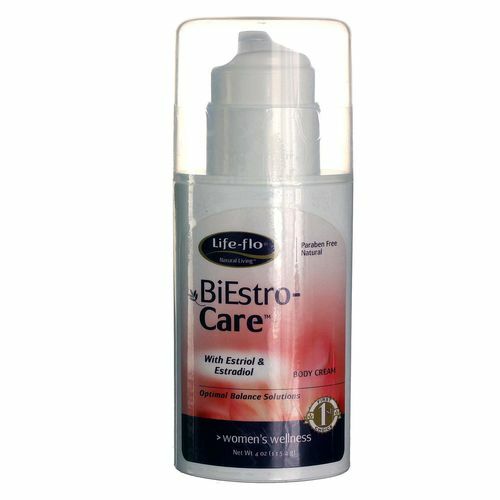 BiEstro-Care Body Cream by Life-Flo is made with Estriol and Estradiol. 警告: Keep out of reach of children. For external use only. Do not ingest. Ingredients: Purified Water, Glycerin, Aloe Barbadensis, Butyrospermum Parkii (Shea Butter), Caprylic/Capric Triglyceride, Helianthus Annuus (Sunflower) Seed Oil, Stearic Acid, Glyceryl Stearate, Isopropyl Palmitate, Stearyl Alcohol, Phenoxyethanol and Caprylyl Glycol, Estriol USP, Estradiol USP, Lecithin, Potassium Sorbate, and Sodium Bicarbonate. Directions: Apply once or twice a day or as recommended by your health care practitioner. 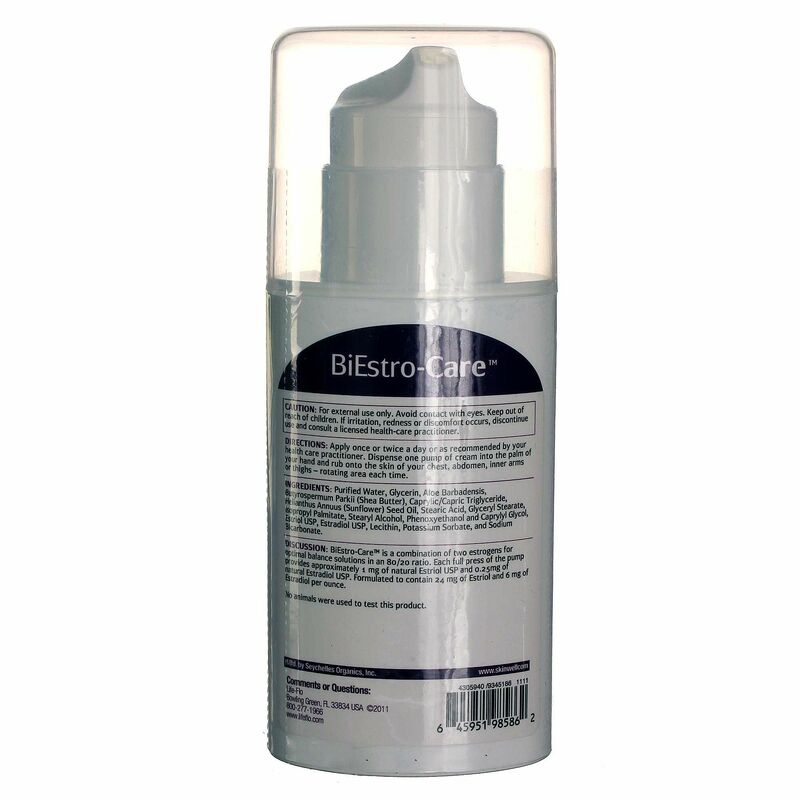 Dispense one pump of cream into the palm of your hand and rub onto the skin of your chest, abdomen, inner arms or thighs - rotating area each time.